He worked as a Banker with Barclays Plc and SVG National Commercial bank from 1979 to 1994, after which he joined GECCU Ltd subsequent to his studies in England. On January 1st, 1999, he assumed the position of CEO of the General Employee’ Co-operative Credit Union Ltd (GECCU), the largest Credit Union in St. Vincent and the Grenadines, a position which he currently holds. During his leadership he has led a significant period of growth and development for GECCU Ltd.
From a single branch in 1999, GECCU now has 4 branches with a further 2 branches currently at design phase. GECCU also recently amalgamated with three (3) smaller Credit Unions in St. Vincent and the Grenadines- the first Credit Union amalgamation in St. Vincent and the Grenadines. Mr. Bowman promotes an unrelenting focus on youth and proudly boasts of GECCU’s recently established Youth Committee which is strategic to making the Credit Union more relevant to young people. His belief in the use of Information Technology to deliver a better service and to attract youth is borne out by GECCU’s ATM services established many years ago and the recently established suite of On-line Services – LINK 24, which include, ATM, ON-LINE, MOBLIE Application and Website. POINT-OF-SALE service and International Debit Card are to be launched in August of 2014. He is also currently the Chairman of the Board of Directors of the National Insurance Services, a position he has held since 2001 and a current director of the Bank of St. Vincent and the Grenadines. At the age of 11, he started his passionate involvement in Community development. He has and continues to serve on many national organizations, most of which he has led. These include the Carnival Development Corporation; the National Nine Mornings Festival; the National Awards Committee; the National Development Foundation; the National Youth Council and the National Cultural Foundation to name a few. In 2007, he was recognized by a leading National Newspaper as St. Vincent and the Grenadines “MAN OF THE YEAR” for his contribution to national development. Mr. Bowman is very committed to the Credit Union Movement and its philosophy. He believes that the Credit Union Movement presents an opportunity for him to merge two of his great loves, financial management and people. Also well known as a “cultureman,” he is a prolific song writer, singer and music producer who has and continues to compose and produce music for many Vincentian artistes. A true Credit Unionist, Mr. Bowman has attended all but one CCCU Convention since 1999, and six (6) WOCCU International Conventions. 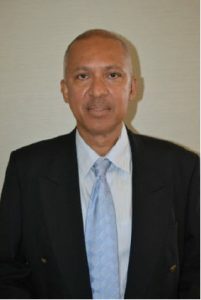 He is a graduate of the Caribbean Development Educators Programme (CaribDE) and has also recently graduated as an International Credit Union Development Educator (ICUDE). Mr. Bowman is married to Andrea Bowman and has two children. Mr. Bowman believes that he is blessed to have a job where helping people is simply doing his work.